Don't wait - get your TNS 3000 slicer! 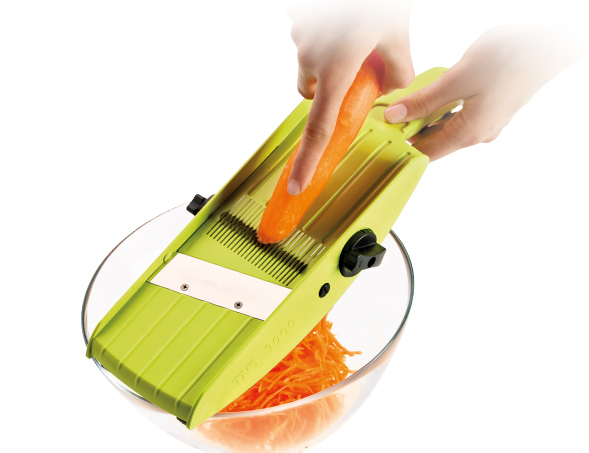 This mandolin slicer is a must for every kitchen: easy to use, sharp, without annoying blade inserts. 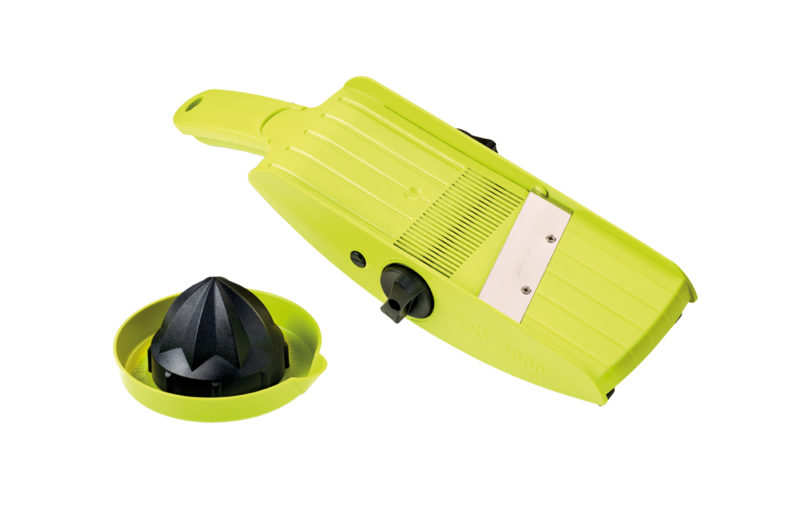 Without inserts and accessories the slicer turns into the perfect kitchen utensil! 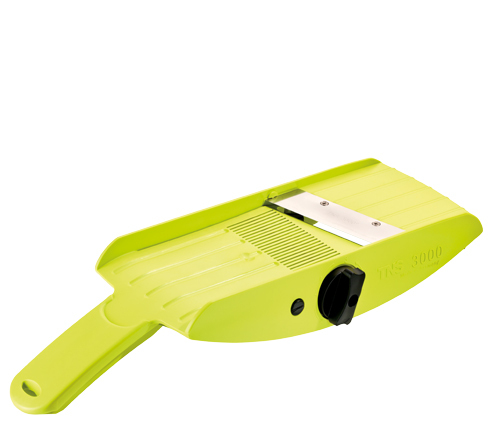 And with the oblique blade the working pleasure in the kitchen becomes even easier, because this means less effort. The great height adjustment for the cutting thickness! 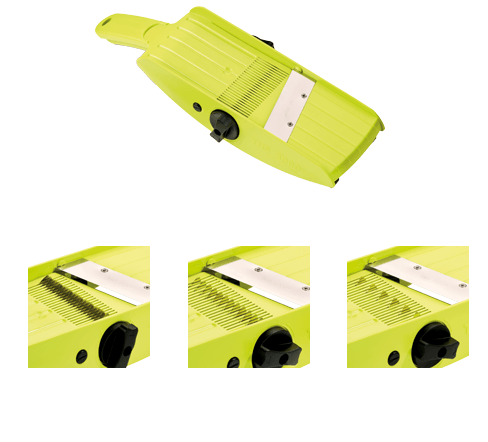 Simply adjust the slicing thicknesses between 1 and 8 mm with a rotating wheel. There is no comparable utensil with the 8 different size adjustments. It has 3 different pre-cut blades too! The slicing thicknesses are uniquely combined with the pre-cut blades. Julienne for salads? No problem, a small turn of the wheel and it´s ready to use, without the annoying searches of blade inserts. Vegetables to cook? Of course, with a further turn the 6 mm blades come out, so fast and so easy. French fries? Sure! Another turn and we can start. Diced vegetables? With a little ability this works as well. Then we go one step further! The food holder is not just to protect your hands. 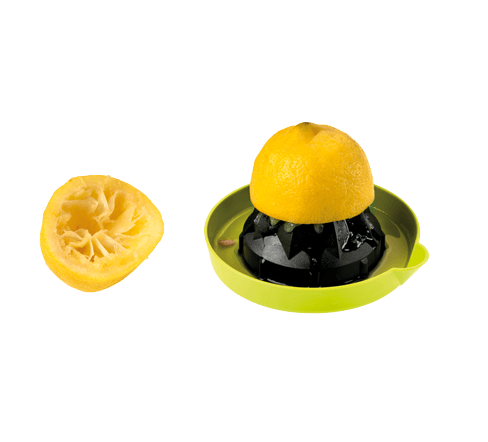 Also limes, oranges and lemons can be squeezed out with this. If pictures are not enough for you, we also have a short video with all the extensive functions.